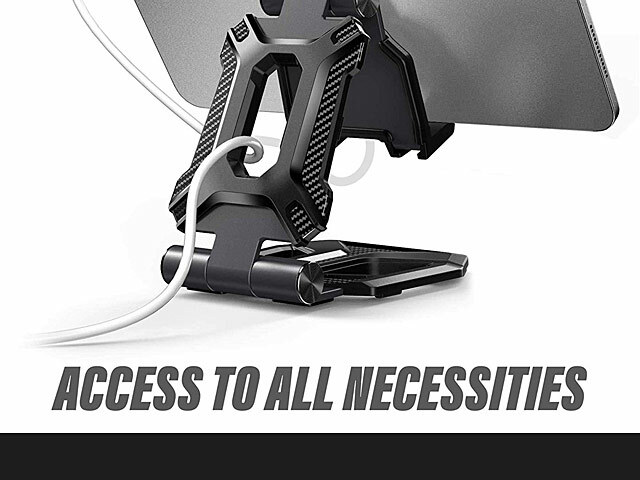 Works with all 4 ~ 13-inch Smartphones, Tablets and e-readers, such as Nintendo Switch, iPhone XR/XS/XS Max, Galaxy S9 Note 9, iPad Mini / Pro / Air, Samsung Tab and so on. 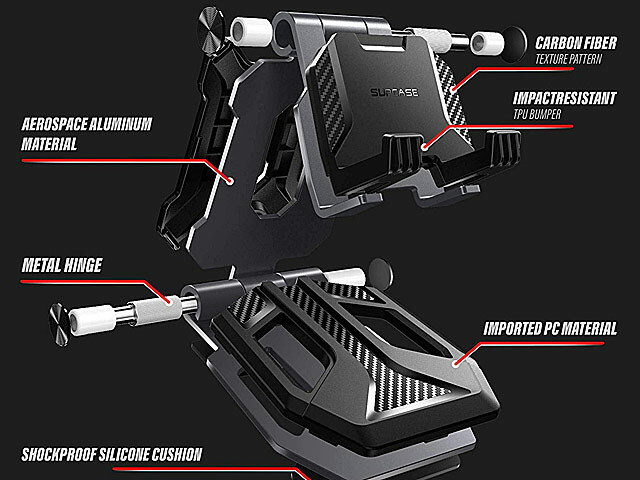 Adjustable Multi-Angle & High-quality & Good-looking universal Smartphones / iPad / Tablets stand holder. 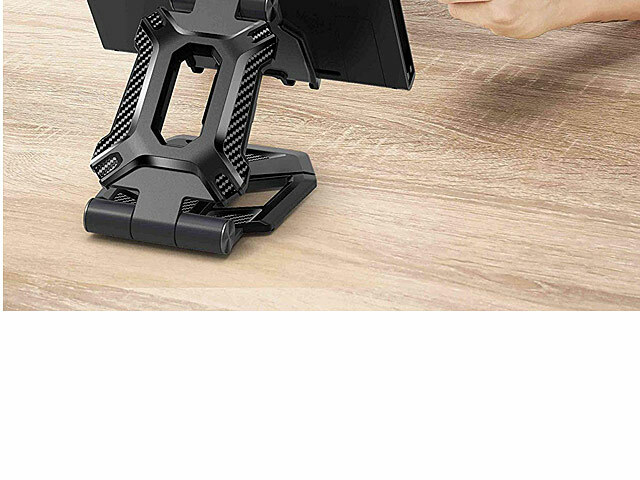 The SUPCASE multi-angle stand provides portraits and landscapes hand-free viewing when you watching videos, reading recipes while cooking, playing games with family and friends. 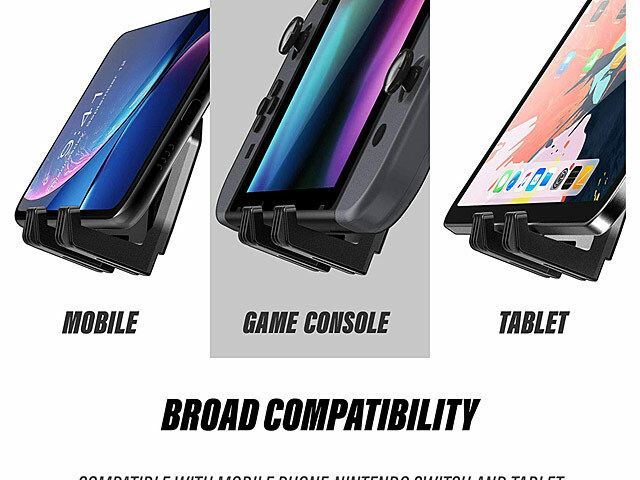 Wide Compatibility: Works for all 4 ~ 13 inch Tablets, Smartphones and e-readers such as iPad 2018/2017, iPad Air, iPad Mini, iPad Pro 2018 ,Samsung Tablet, Nintendo Switch, iPhone X/ XR/ XS, etc. 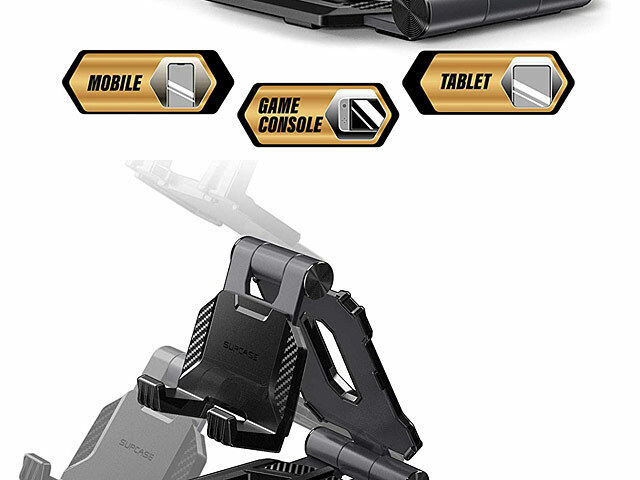 Multi-Angle Positions: Adjusts up to 270° for convenient viewing. 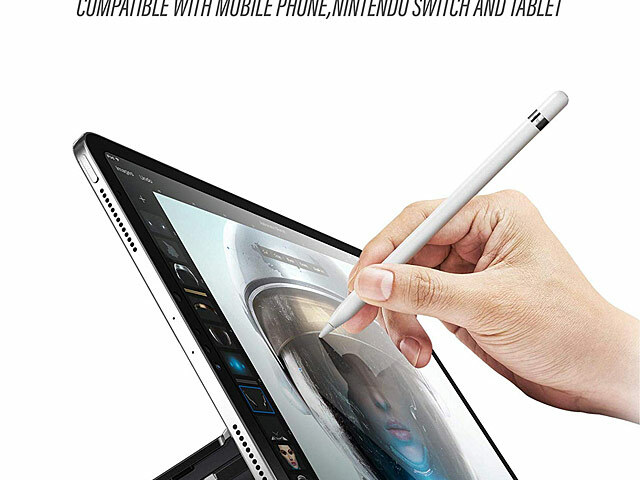 Great for watching videos, playing games, listening to music, viewing recipes and more. 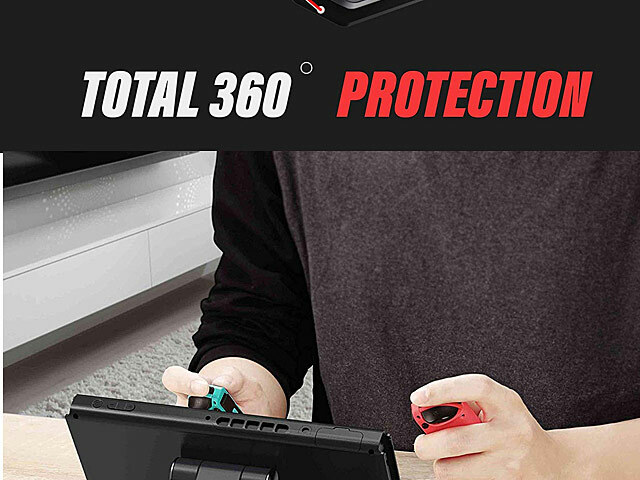 Anti-Scratch Design: TPU pad eliminates any need for concerns when it comes to scratches, damage and imperfections. 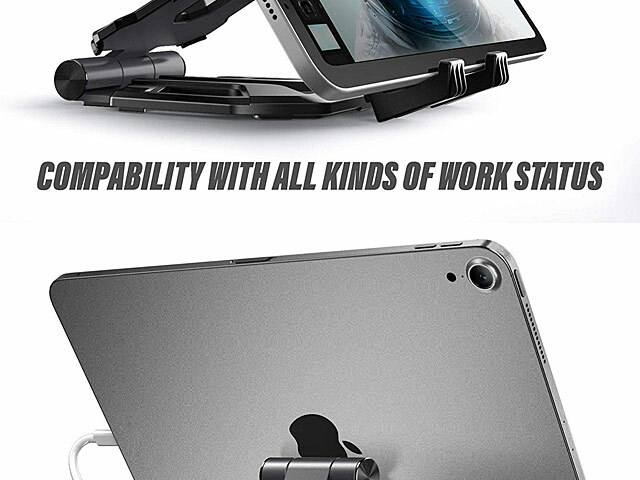 Perfect Workmanship: Neat and sleek design, aluminum alloy body and smooth edges. 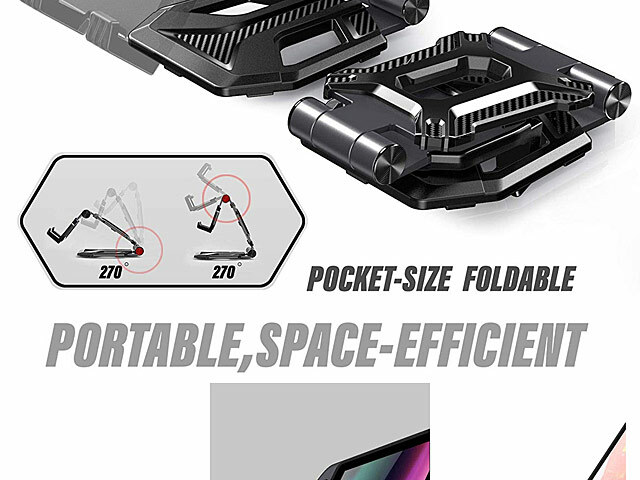 Portable & Pocket-Sized: Dual foldability makes it easy to take with you while traveling. 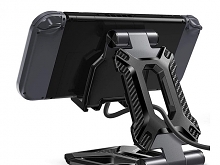 This tablet holder folds up to pocket-size.